Shoviv Exchange Recovery Manager not only help to recover your Exchange environment but carry additional tasks too. With this tool you can migrate Exchange to Office 365, repair broken EDB files & restore them and add Exchange and Office 365 as a source. One can also migrate/ upgrade to Exchange and Office 365 via this software. Restoration of EDB may be carried by picking single files or even the entire mailbox. The Exchange Recovery Manager gets your Exchange environment back on track quite literally. It can migrate Exchange to Office 365 import/ export entire mailboxes or selected email items from corrupt EDB files and Live Exchange servers. It is a complete backup solution which facilitates easy search and import/ export of data. It is the easiest and most reliable way to recover inaccessible and corrupt EDB files and to restore them. With this tool you can also export added source, EDB files and source mailbox to Outlook PST, Exchange Server, Office 365 and Outlook profile stores. 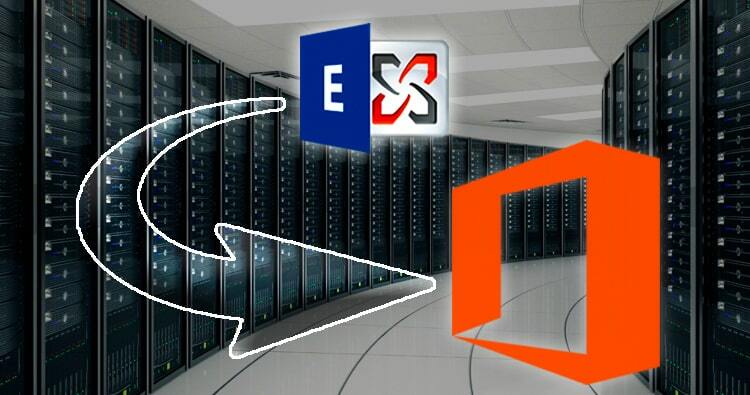 The public EDB files and single mailboxes too can be exported to Live Exchange, Office 365 etc. Not only these, the client gets a lot of variety in the output format too. The source mailboxes can be exported to MSG, HTML, RTF, EML etc. Clients who use the Exchange Recovery Manager to migrate Exchange to Office 365 and for other tasks can’t help but profess wonder over its awesome features. Below we elaborate the most relevant features of this tool. This tool not only can migrate Exchange to Office 365, rescue EDB files but also save time while doing so. The public as well as private EDB files can be rescued with this tool and restored in record time. It can restore EDB files, folder hierarchy, emails, contacts, calendars etc without hassles. Once this task is managed, it can also migrate Exchange to Office 365 in smoothest manner possible. The best part is that unlike other tools, it does not alter the contents of the files. With this software, you can add Exchange server mailboxes through the Active Directory (AD). Having full admin rights lets the users access other mailboxes as well. With this tool you can migrate Exchange to Office 365, migrate or export added mailboxes to another target mailboxes. The target mailboxes may vary anywhere from Live Exchange to Office 365. They can be exported to PST. Using this feature one can add Office 365, Exchange public folder to another Live Exchange/ Office 365 public folder and archive mailbox. The Outlook stores can be migrated to Live Exchange, PST and Office 365 while keeping the folder hierarchy intact. The user-friendly GUI lets the users migrate Exchange to Office 365 without technical glitches. You would not have to tussle with technicalities if you want to preview your items before you migrate Exchange to Office 365. With this facility you can easily cross-check the content of the files with the MAPI tag. The preview action lets you be reassured about the accuracy and integrity of the product. Once the source mailboxes have been added they can be exported to Live Exchange, Office 365 and Outlook profiles. In fact, one can also migrate Exchange to Office 365 without having to know the technical steps involved. This feature allows the users to migrate specific data range items and select message class. This is achieved through manual and automatic mapping from source mailbox to target mailbox. The mailbox integrity remains intact while one exports added mailbox to target mailbox. The EDB to PST converter feature lets the users extract and convert select mailboxes to new and existing PST files. All the mailboxes can be restored from corrupt EDB files. This feature is also relevant to import/export mailbox items and transfer mails, contacts, calendars, and other items. It can be carried among any Live Exchange server, Outlook profile and Office 365. Once the steps involved in to migrate Exchange to Office 365 have been dealt with, you can split the PST files into multiple numbers. As per your requirement you can convert the PST files into as many numbers of files you want. The tool is trained to create a single PST file for a single mailbox. As mentioned before, this tool can restore damaged files instantly. It can also migrate Exchange to Office 365 conveniently. This is done with the mapping facility which copies data from source mailbox to target mailbox. In the task to migrate Exchange to Office 365 you can easily even search and filter items. The auto search option speeds up the process of data search. You can search out files instantly with criteria like read/ unread messages, attachment name, subject, CC, BCC, To, From etc. Multi value search can also be carried using semicolon to separate the subjects. This tool provides you with many conveniences, the major among which is the facility to auto-migrate Exchange to Office 365 and to save source mailbox items into the format of user’s choice. The source mailbox items may be migrated to MSG UNICODE, EML, VCAL, VCard etc. Also, the files may be converted in bulk fashion, meaning faster conversion. If you want to access your source mailbox files faster you may choose the HTML format. This format can be chosen while you save the source mailboxes. With all these features you would also get 24*7 free technical support. So contact us for more information via chats or email. The link to the download is given below.